बीटीसी के बारे में यह खबर पढ़कर होगी आपकी एक चिंता दूर! Respondent :- State Of U.P.& 3 Ors. Jaishri has approached this Court with a request to direct the respondents to take appropriate action regarding her objection dated 1st July, 2013 and thereafter treat her a suitable candidate for the post of Assistant Teacher and further permit her to participate in counseling. UP Aided School Recruitment of LT Grade, Asst. 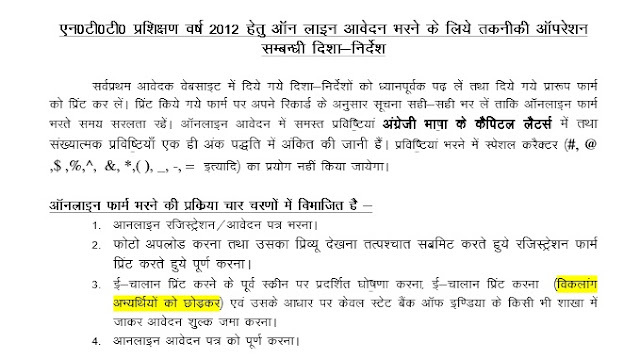 Teacher, Adhoc Teacher Recruitment During 2011 and after 2011 is cancelled by Allahabad high court. Advertisement was not published in at least two popular news papers and therefore not as per Law. As per court order , New Fresh advertisement need to be publish with sufficient popularity. Qualification : Graduate in any discipline with 55% marks. Qualification : 12th Standard Pass or equivalent. 18, Institutional Area ,Saheed Jeet Singh Marg , New Delhi-110016. Last Date for Online Registration 28.08.2013 upto 11.59 p.m.
Last Date for receipt of print out of completed application, along with prescribed KVS bank challan where applicable and selfattested copies of testimonials at "Post Box No. 3076, Lodi Road, New Delhi-110003"
Official notification released by Haryana Board of School Education, Haryana Teacher Eligibility Test (HTET) 2013 result would be released today for about 3,79,781 candidates who appeared in the entrance examination last month. Haryana Board conducted the HTET on 25th & 26th June for Primary Teachers, Trained Graduate Teachers (TGTs) and Post Graduate Teachers (PGTs) at various centers across the state. 1,23,472 candidates in PRT, 64,388 in TGT and 90,021 in PGT categories appeared in HTET 2013. Earlier, results were scheduled to be published on 15th June, however due to the incorrect questions in the exam paper evaluation of the answer sheets had to be done again for lakhs of answer sheets. Spokesperson from the Haryana Board confirmed that re-evaluation of the answer sheets is completed and results would be out today i.e. 17th July at around 10:00 am. 29 हजार शिक्षकों की भर्ती का निकला विज्ञापन, कौन है पात्र? IBPS, an autonomous body, has been authorised and has received mandates to conduct Common Written Examination (CWE) for the posts of Officers and Office Assistant (Multipurpose) for 62 Regional Rural Banks (Gramin Banks). Applications are invited for the first CWE for Rural Banks Officer posts (Scale-I, II and III) and Office-Assistants, for which CWE will be conducted. (Gen.Rectt.) Examination-2013 and Review Officer/Asstt.Review Officer Etc.Physically Handicapped (Backlog/Special Rectt. )Examination-2013th Last Date for Deposit of Examination Fees in the Bank : 11 July,2013.th Last Date for Submission of Application :15 July, 2013. 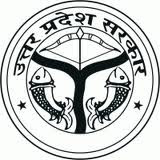 Application are invited for the Posts of Review Officer, Assistant Accountant in Uttar Pradesh Public Service Commission (UPPSC). No. 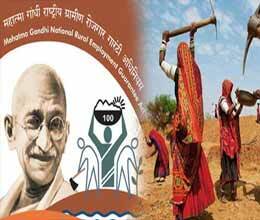 of Vacancy: 370 posts plus 01 post in special drive for handicapped person. BJP State Spokesman Dr. Manoj Mishra said - It is highly injustice happen with UPTET 2011 candidates, Who applied for 72000 posts and paid recruitment fees heavily. Therefore UP Govt. 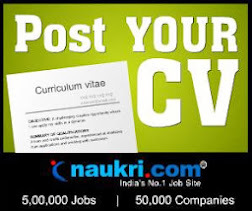 first fill those 72000 posts and return extra money to candidate.